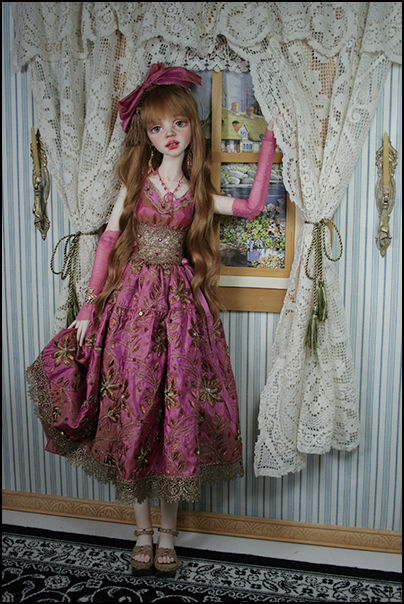 This doll will be for sale Saturday - June 14 at 3:00 pm EST. 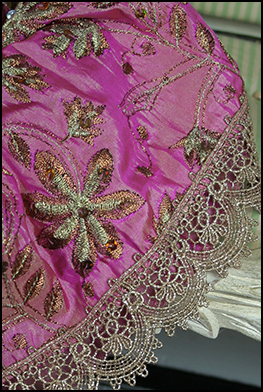 Cassie's dress is a polyester fabric with metallic thread embroidery with matching underskirt-(made froman Indian Tunic dress). 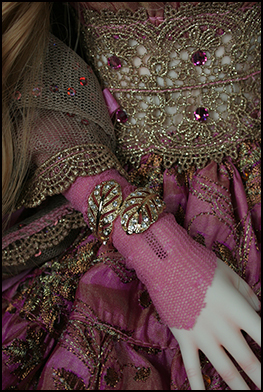 It is trimmed with Shiffli metalic lace. The waistband is accented with Swarovski crysals. 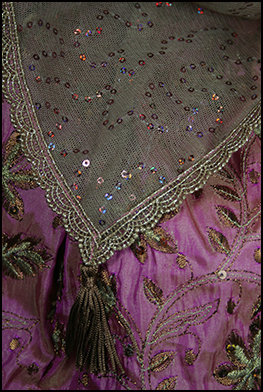 Her shawl is an netting fabric with hand sewn sequins. Her necklace and earings are glass beads and crysals. In her hair she wears a matching bow and tassels .She has a pill box hat trimmed with lace and a netting bow.. Her wig is from "For My Doll" and her eyes are from "Eyeco"platinum series.